CUP CHANGES FROM NATURAL TO COLOR WHEN COLD DRINK IS ADDED! GREAT FOR SPORTING EVENTS, PARTIES, SPECIAL EVENTS OR PROMOTING YOUR BRAND. 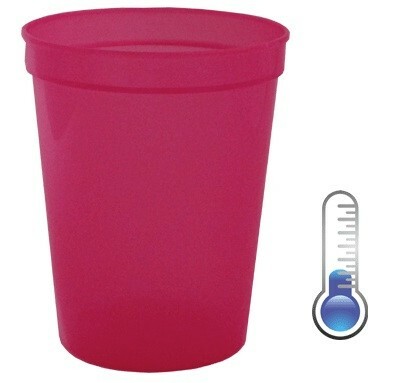 THESE CUPS MAKE GREAT PARTY FAVORS & ARE A GREAT WAY TO MAKE A LASTING IMPRESSION.